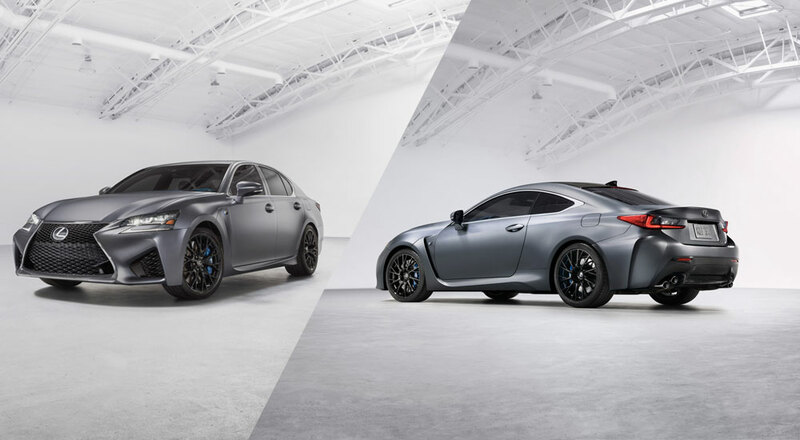 The 10th anniversary of the Lexus F brand was marked with the release of special editions for the RC F coupe & GS F sedan, with both featuring a special matte Mercury Grey paint finish. The application of matte paint is similar to a traditional gloss finish, with one change — the final clear coat is mixed with a microscopic silica particles that diffuses reflected light and creates a rough finish. This makes cleaning and maintenance a real challenge. The first issue comes with the general act of driving, where contaminants like bugs and tar can form a stronger bond due to the paint’s texture. A gloss finish can be coated with wax or sealant to protect the paint, but applying the same to a matte surface will flatten the surface and create uneven patchiness. .1. Wash the wheels and chassis parts first to avoid the chance of recontaminating the bodywork. Then thoroughly soak the vehicle’s bodywork with plain water from the top to the bottom to remove any loose sand and dust. .2. Gently wipe down the bodywork from top to bottom with a soaking wet chamois cloth that is frequently rinsed in plain water to clear it of contaminants. If dirt or contaminants cannot be cleared with water alone, Lexus recommends using either a neutral detergent approved for car cleaning or the following organic cleaning solution: two teaspoons of citric acid to 200ml of distilled water. The chamois should be soaked in this solution and placed over the area for a while to allow the acid to dissolve the contaminants. Further gentle wiping should clean the affected area, though care should be taken not to rub the vehicle body. Repeat steps one and two to clear away any remaining contaminants and residual acid solution. .3. Dry the bodywork with a dry chamois cloth before the water has a chance to evaporate and leave unsightly stains. The chamois should be laid flat against the body and gently pulled across the paintwork. Care should be taken not to rub the vehicle body. If this process wasn’t complex enough, pressure washers and touchless car washes can not be used. Lexus also recommends that the car is stored in a garage, or a fleece car cover is used to protect against ultraviolet deterioration.